Sure to be my next Laptop purchase. This Skeptic loves this laptop. First I would like to say, yes it has a small 12.5 inch screen, and it reminds me more of a netbook than an actual laptop. However it doesn't sacrifice performance like a netbook would. You won't be playing Battlefield One on this thing, but something tells me, if you are looking at 12.5" laptops, you didn't have PC Gaming on your requirements list. Like I mentioned already, this thing is ultra-portable. 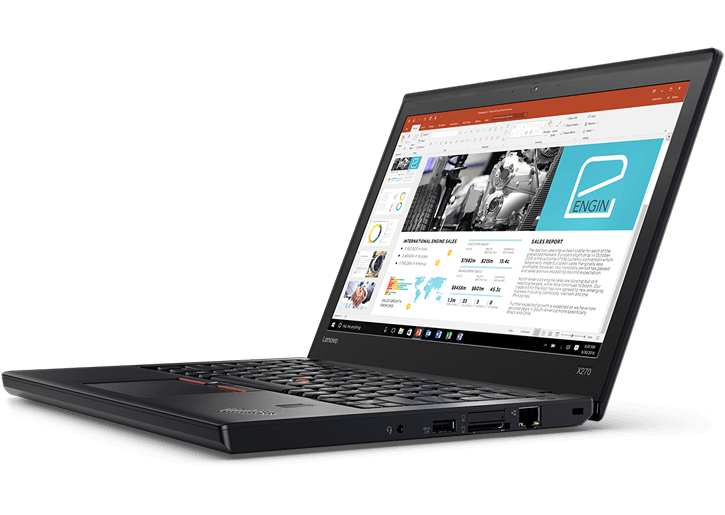 Coming in at 12.5 inches, the ThinkPad X270 is not a big laptop, and probably not suitable for complex spreadsheets, or Org Charts. As mentioned, you won't be playing Battlefield One on this laptop. You could get away with some older titles like Stronghold Crusader, or Sims, something that doesn't need the latest graphics cards. But if you are trying to write a book, manage an eCommerce enterprise, or even do light graphics editing, you will have no problems at all. Plus this has a pleasantly brilliant screen, although glare can be a problem at times.